Here’s an easy DIY craft to add beauty and truth to your Christmas table. You likely already have everything on hand and it’s easy enough for even a first time DIYer. 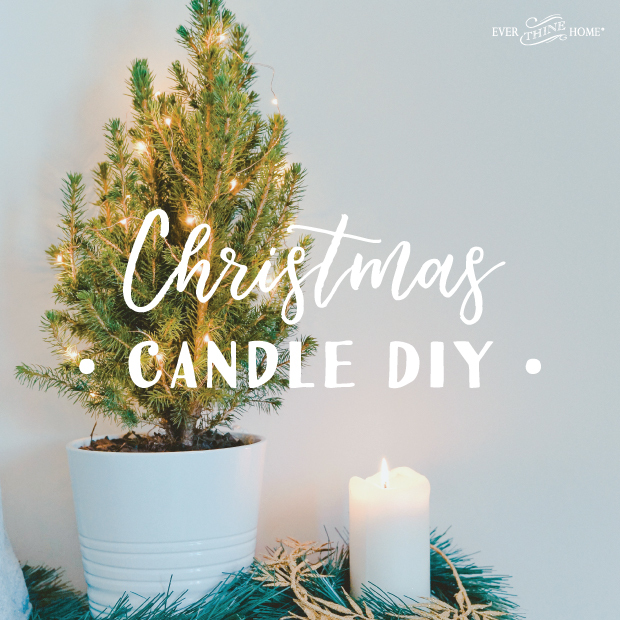 You’ll need about 10 minutes to create these lovely candles that will give ambiance and reverence to your Christmas week anticipation or any of your Christmas celebrations. Grab your supplies and get to crafting! -4 cream or white pillar candles (3×6 or 3×9 standard size). I picked ours up at Walmart. You can find it at most retailers near you. 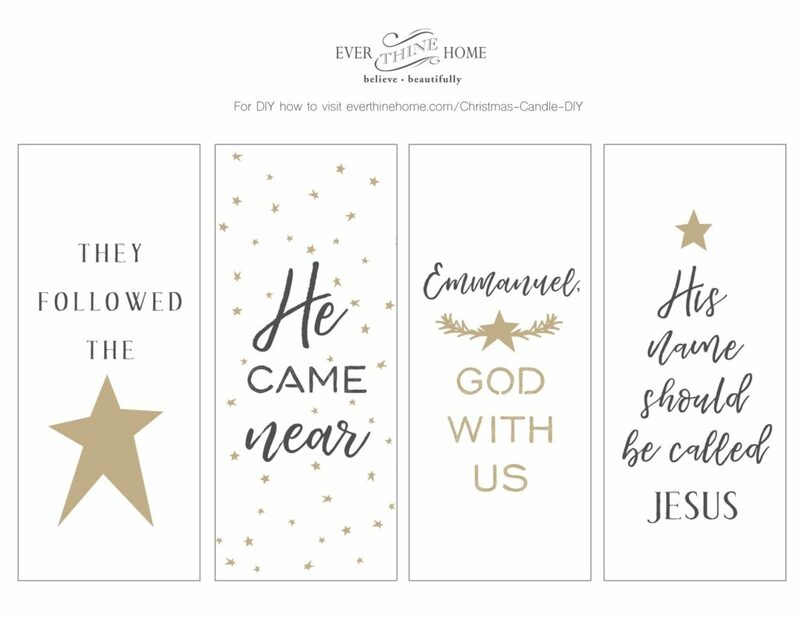 Download your favorite DIY Templates below. Tape tissue paper on a regular-sized piece of printer paper. Load that tissue layered piece of paper through the printer and print the template onto it. Cut out the image, leaving a little margin all the way around. Layer a piece of wax paper over the design. Cut a piece of wax paper long enough that it wraps all the way around to the back of your candle. Then line up your template on your candle, holding it in place with the wax paper. Turn your blow dryer on to the highest heat setting. Holding the dryer close to the candle, apply direct heat to the design. As the candle wax heats up, the tissue paper backing will begin to fade. Be patient. Keep applying heat until the tissue paper completely dissolves, about 3-5 minutes. Once the tissue paper is completely transparent. Peel back the wax paper to reveal your very own Thanksgiving table candle! Repeat the same steps for each of the three candle designs. Decorate your table with your hand-crafted work!